This book is nothing short of amazing. It was written by a woman who grew up in the “patriarchy movement,” which is gaining popularity in the homeschooling community. In essence, the patriarchy movement suggests that if you follow a basic formula that includes parental authority, emphasis on family, homeschooling, and adherence to the “divinely-ordained” roles of the man as the head-of-the-house/breadwinner and the woman as the keeper-of-the-house/helpmeet, you will be rewarded with a legacy of godly children. Those in this movement say that children are a blessing, and God should determine how many children you have. Thus, many in this movement have very large families. Since Psalm 127:3-5 says, “Behold, children are a gift of the LORD…Like arrows in the hand of a warrior…How blessed is the man whose quiver is full of them,” people will often refer to such families as “quiverfull” families, and that’s where the title of this book comes from. Why is this book nothing short of amazing? Actually, there are several reasons. First, it is really intended for a very limited audience: women who grew up in the patriarchy movement and were harmed by it. Please note the “and” in that sentence. While the author was clearly harmed by the patriarchy movement, she does not contend that all women are harmed through it. This is actually one of the amazing aspects of the book. The author has every right to feel angry towards the patriarchy movement and those who promote it, but she doesn’t express any anger at all. To be sure, she discusses in several places why the patriarchy movement is unBiblical, but she never once condemns the people leading it or participating in it. I find that quite laudable. The book is also amazing because even though it is intended for a very limited audience, it actually affected me in a profound way. Being neither a woman nor someone who grew up in the patriarchy movement, I still learned a great deal from it. In fact, I strongly recommend it to all fathers who have daughters. I truly wish this book had been around a long time ago. If I had been able to read it before I adopted my little girl, I would have been a better father to her. The book is essentially the author’s story of the pain she experienced growing up in a patriarchal regime. However, it is also filled with quotes and stories from other “quivering daughters.” The way she weaves her story with the experiences of other women like her is almost mesmerizing. It starts out a bit dry, with an academic essay by Rachel D. Ramer on the patriarchy movement. It discusses the general characteristics of people in the patriarchy movement as well as some of its more disturbing aspects. Thankfully, Ramer makes a clear distinction between homeschoolers and patriarchal families. While all members of the patriarchal movement are homeschoolers, not all homeschoolers are a part of the patriarchal movement. With the dry stuff out of the way, the author dives into some very tragic, very personal issues. Using her own diary entries from when she was a child, she details some of the horrible things in her life that were brought on by living in a patriarchal family. Continuing the theme of working through the pain without condemning those responsible, she says that the diary itself is a reminder of the love she has for her father and that it is the best gift she has received from anyone, except God and her husband. A few years ago, I found an old family picture taken when I was thirteen. I stared at myself, at my shapeless face, awkward body, weird clothes, frizzy hair, and red cheeks. I couldn’t stop the thought – it lurched from some deep, raw place and assaulted her, the girl in the photo, with a lifetime’s accumulation of disgust. Think about that for a moment. Almost every girl thinks she is ugly (at least for a time) while she is growing up. However, as adults, most grow out of that idea. This young woman’s childhood was filled over and over with the lesson that she was an ugly, worthless girl. Indeed, this was drilled into her so deeply that even as an adult, she could not think of anything else when looking at a childhood photo. I would not wish that kind of childhood on my worst enemy. I grieve for this young woman and those like her. Children are definitely a blessing, no matter what. They also deserve unconditional love. I honestly wish I had the benefit of this author’s wisdom before I adopted my little girl. Even though I probably did a lot of what she suggests simply because I deeply love my daughter, if I had been consciously aware of a little girl’s needs in the vivid way this author describes them, I probably could have done a better job. Here’s the bottom line. When I got done reading this book, I dried my eyes, screwed up my courage, and called my little girl, who is now an adult. I apologized to her for any mean thing I said to her while she was growing up, and I apologized for anything I might have done to make her feel unwanted, unsafe, unloved, or broken. A little girl is a precious thing, and like most precious things, she needs to be handled with extreme care. I think I would have been a bit more careful with my own daughter if this book had been around 17 years ago. It is sad that people in the patriarchal movement/some mennonites/the amish think that being a certain way and doing certain things will be the only way to be blessed by God. This is why homeschooling is looked down upon, head coverings are thought primitive, and family orientation is socially unacceptable. Yes, some of their teachings are Biblical and right. But if you think that running your home in that one way is going to save you and bless you spiritually… well, that just boils down to a belief in salvation by works. I spent a lot of my childhood in Mennonite country (upstate NY), and I even had Mennonite children’s books in my little book basket. My mom even ordered little dresses for my sisters and me from a little Mennonite seamstress business. I LOVE the way mennonites live their lives… but the problem is.. they think it’s the ONLY way to live correctly and godly according to God. Lydia, there is a LOT of that going around, both in homeschooling and Christendom as a whole. Dr. Wile, Your review touched me deeply. You “got” the heart of the book in a way that I wish more people would. It seems too often they assume that the author must be a woman who is “well-meaning” but “controlled by someone else” or she wouldn’t have written the book, or other comments that are not on target. Sometimes it feels as if they are so deeply entrenched in their own ideas and beliefs that they can’t even look at the book for 10 minutes honestly. Thank you so very much for your wonderful review of Hillary’s book. I have been recommending it to all homeschooling families since I know how pervasive the patriarchy movement has become in recent. We have been homeschooling for 26 year and I am so sad to see how this branch of homeschooling has taken over. If you are interested, I am currently in the middle of a series of podcasts on this movement, including a 3 part interview I did with Hillary. The last two segments are my analysis of the 2009 Homeschool Leadership Summit that was hosted by key leaders within the patriarchy movement. Everyone needs to hear the highlights of what they are calling their “education manifesto” and their goals for ALL homeschoolers. In fact, they instructed their audience that was made up of homeschooling support group leaders and conference planners to follow this manifesto in their own groups. It is truly scary to see this theological and political agenda infiltrating our ranks. Thank you so much for your post on this book! It is a subject which has affected me deeply, and something I’ve only recently been able to work through. Dr. Wile, I and my former homeschool co-op groups have used your books [I’m 17] and it is great to know that such a [to me] well-known and respected figure in the homeschooling movement is aware of the painful issues that patriocentricity brings up. Very nice review. I hope that the book encourages more men to be better fathers. I was thrilled to read your thoughtful review of Quivering Daughters. It is my hope that your tender words towards your own daughter and your tears over the pain of girls in similar situations will move others to investigate this issue and change their approach. Hillary McFarland has been able to capture the heart of the issue with careful honesty. She gives us a glimpse into what can happen when we think we follow God, only to find the result to be the opposite of God’s intent. Hope and Jenny, thanks for your comments. There was no way I couldn’t post on this book, since it affected me so deeply. Happymom4, thank YOU for your very kind words regarding my books! I agree with you that some people are so invested in their own ideas that they are simply unwilling to understand the pain that those ideas can cause. That is tragic. Thatmom, I will definitely listen to those podcasts when I get time. Thank you for dealing with this issue. Bethany, thanks for your comment. I don’t think I was as aware of the painful issues involved until I read Hilary’s book. Rachel, thanks for your comment. I hope I didn’t offend you when I said your essay was “dry.” It was very informative; it was just very different from the rest of the book. Thank you so much for this review! It was wonderful, for me, to hear a man and a father give his honest, heart-felt thoughts on Hillary’s book. Your daughter must be a very blessed woman. Darcy, thanks for your kind comment. Actually, I am the blessed one. I was not brought up in the movent described, but I have seen the results. As I read the review I cried because this is also how so many treat their wives. If I’m not what he wants today I’m not worthy of love. He thinks God loves us conditionally. We only see God’s love when we work. There is no rest. I may read this book. CJ, thanks for your comment. You are so right. There is too much conditional love in Christendom. Cindy, I am not sure how much influence I have, but I do hope that more people read this book as a result of my post. Eric, thank you so much. I laughed out loud when I read your comment about my blogroll. Momof5, your children are fortunate to have a mother who understands there is no formula for success in parenting and, more importantly, that you should not strive to make your children clones of you and your husband. I so appreciate your intimate review of Hillary’s book. I am a mother of eight and home schooled all of them totaling 22 years of that experience and life style. Though we were not involved with the patriarchal movements per-Se we were completely saturated in the mind-set. After 20 years of being leaders in a church that became cultic, and having to leave and lose all relationships there, we were at a loss for understanding just what and why all had happened. Hillary’s book and web-site was one of the most applicable sources of information to fit our particular circumstances. She gave such personal insight into the feelings of a child growing up in such an environment, that for the first time I was able to understand and empathize with my own daughters about how they really felt those years when before, I had no way of comprehending or empathizing with them. Thank you for utilizing your broad influence to bring this issue to the attention and hopefully, hearts, of others who have so isolated their thinking that they refuse to consider its potential effects on their children. No, you didn’t offend me at all. Your comment made me chuckle. The article (first published in the Christian Research Journal and then later in Plain Truth) is very different from the rest of the book. It was intended to be academic and it certainly is dry next to Hillary’s straight from the heart sharing. I am truly thrilled that she stripped away the heavy theological discussions to show us the pain. We so often crush people with distorted theology. She got us out of our heads and into our hearts. Your comments about my article may be necessary for some to keep reading to get to the rest of the book. I am also thrilled that you expressed your heart-felt response to Hillary’s book. More people within the homeschool movement need to hear about the pain these girls are experiencing, and your voice, added to the mix, can be influential. Many blessings to you and your voice! Very touching review of an excellent book. Thanks for drawing attention to it. Also, you may be the only person I’ve ever seen who could get away with having both AiG and Pharyngula on their blogroll. I read your review with great interest. One thing is certain. There is nothing new under the sun. Whether it is the so called Patriarchal movement or the A.T.I.A. movement or any other movement that promises positive results from formulaic parenting, we must remember it is Christ alone who saves. It is by grace, not works. It is all of Him and none of me! Praise be to God. That said, as a parent, I am called, even commanded to love,train, teach, nurture and guide my children. They are not my clones. Mine is the means, HIS is the end. To God be the glory! Thanks so much for your perspective on the book, which I am planning to buy. I was raised in one of the many branches of the patriarchal movement. Despite being 33 now, I still am peeling away uncomfortable and sometimes painful layers of thought patterns from those days when I was at home. One of the biggest crushing blows is realizing that my parents are not “God”, nor did they always have a “direct line” to Him. They were not, and are not, infallible. Thanks for your heartfelt comment, Emily. One of the most dangerous things a Christian can believe is that he has a “direct line” to God. I know some people who think that, and sometimes they can be downright immoral. There is at least one story in the book (probably more) that relates to this issue. I do think you would benefit by reading it. I am also now interested in trying out your science books, after looking at your blog. Thanks for your comment, Anthea. I hope my science books can be of help to your family. Disclaimer: I have not read the book. While I abhor some of the practices of the patriarchal movement, I also realize there is much good in it as well. I think we run into danger when we lump everything together. Case in point: Our family is quiverfull (believe that God is in charge of conception), but not patriarchal (in the sense of the man dominating the wife and kids). We don’t dress like it’s 1850, swear off rock music, or never let our kids out of the house. We do take our responsibility to parent the children God entrusts to our care seriously. Patriarchy fails because it clings to religious fundamentalism – which when boiled down is simply a means to control others. That dark stain tends to overshadow the good: There is a solid Biblical basis for parental responsibility (paticularly in Christian education) as well as leaving conception in God’s hands (even though that may be a tough pill to swallow – pun intended). While no one is perfect – if you remove the domineering control that the patriarchy movement is characterized by something really beautiful remains. Our family (as well as many others I know) can attest to this. I find it sad that so many* use the “control freak” fundamentalist cases of the patriarchy movement as an excuse to reject having kids or taking an active role in raising them – because in the end they’re really the ones missing out on the blessing. If you’re looking for a good “other side” book that demonstrates well what I’m advocating for here I suggest “Love in the House” by the Jeub family. They really seem to capture the essence of children as blessings without the fundamentalist control. * NOTE: I’m not implying anyone here has done so, nor am I implying that the book suggests this. See my disclaimer at the beginning of the post. have’nt read the book and to be honest I’m afraid to. You see I DID NOT grow up in the P. movement but have gravitated to it. Years of watching sitcoms and society in general turning husbands/fathers in to stupid, bumbling, selfish creatures who are not really needed for a “successful family”. I began to look in the Bible for how it says the children and I should view and treat my husband. That and that alone is why I have chosen to lean that direction. Common sense, (and even a half witted Mother) should be able to tell if any abuse (phy. sexual or even emotional)is happening in her home. If so she is required by law and God to protect her children and self against a criminal be it her husband or not. I said all that to say this. My concern is too many will take this awful thing that has happened to Hillary and others and use it as an excuse to throw the baby out with the bath water. They’re are some great concepts in that “movement” not to be thrown out. The whole point should be to get our eyes off of self and on to the needs of others. Melody, you really should read the book. I am not telling you that some variant of patriarchy isn’t best for you and your family. I don’t know, because I don’t know you and your family. However, the author does a good job of distinguishing what Scripture actually says from what she calls “man’s convictions wrapped beautifully in Scripture.” If nothing else, it might make you more sensitive to the needs of your children. As I said, I would have benefited from it had it been available back when I was parenting. I am so glad that reading something encouraged you to do something positive. HOWEVER…remember NOT to tar everyone with certain principles with the same brush. I would say that I would come from a “patriarchal” family)as in, my little family God has given us, not my parents)…and what you may call “quiverful”. I think the problem comes when people consider things as a “movement”, and not as individuals, with similar, and not always identical, beliefs, who have come to those beliefs through a study of scripture. We are NEVER done telling our children how beautiful they are – or how much we love them whether they have done good, or bad. We want them to come to us with any problem or difficulty (and they do). We also allow God to plan our family size (why is George Muller such a great guy, but I , with my 6 children and hoping for more, is frowned upon?…hmmmm). We also operate under the scriptural principle of headship, and indeed love it and cherish it deeply as a blessing. I am no unloved slave – I am a willing servant of my husband, just as we all should be willing servants to Christ. Thanks for your comment, Caroline. I agree that not all “quiverfull” families are patriarchy families, and not all “patriarchal” families follow the harsh legalism discussed in the book. However, I would encourage you to read the book. Even if you don’t practice the “patriarchy” that harmed the author, it might make you even more sensitive to the needs of your children. I certainly wish I had its wisdom when I adopted my little girl. This review intrigues me and I certainly would like to read this book. I am involved in a ministry that offers support to those who have left the Amish. My family has unofficially “adopted” a former Amish daughter. Your review and subsequent comments about the patriarchal movement touched me deeply. Having seen, first-hand, the effects of the controlling atmosphere in the Amish way of life, I can relate to the pain the young woman in the book must have felt. My husband was also raised in a home that was a first-generation post-Amish home. His father still had his patriarchal tendencies firmly in place, however. I’m so glad I read this review. Thank you for posting it. Thanks so much for your comment, Dee. I am glad that the review was helpful! How can I find this book? I looked on christianbook.com and was unable to locate it. Ashlee, I bought it on Amazon.com. What a beautiful, heart-felt review you have given of Hillary’s book. It is for this reason, your honesty and fairness to all things and people, that I use your curriculum (that and the fact that it is so well-written and researched). Thank you for sharing this with us. Hillary amazes me on so many levels; however, the most compelling is the fact that despite her having grown-up in a culture of fear and profound pain, she embraces her faith in Jesus still. She can see through the dense fog of this movement with a clarity that does not condemn, but rather loves. I cannot say that given her circumstances, having spent her youth immersed in a toxic environment, I would have remained a Christian let alone share my suffering so as to help others in need. Indeed, most would turn away from God altogether. I pray that your lovely review will be far reaching as there are so many who can relate to Hillary’s experience. Perhaps they, too, can find comfort. Brenda, thank you so much for your kind words. I join you in your prayer! I am about halfway through Hillary’s book and have known her online for some time now. She does an excellent job of separating scripture from the teachings of men. Although, I was raised with a different kind of abuse, I very much relate to what she has written. Personally, I think it is good to read the book and see just what she is saying. I have also been listening to That Mom’s podcasts. They are very good! Abigail, thanks for your comment. I agree – Hillary does a great job of separating Scripture from the teachings of men. I am impressed by your review. For someone who earns so much of his living selling to the homeschool market [count myself among purchasers of your biology book and accompanying materials]I am impressed that like the producers of the Sonlight curriculum, you have not gone all-out to support patriarchy even though taking such a stance would increase your sales, I’m sure. I like hearing that a Christian dad can regret that he didn’t have a resource that would have opened his eyes and made him a better father [although, I doubt you were like the father’s in the book]. Thank you for speaking out in such a positive way about Hillary’s book. Lisa, thanks for your comment. I am not surprised Sonlight has not gone all-out to support patriarchy. John Holzmann is a Christian man who has great character. He does what is right regardless of what it costs. I am a homeschooled daughter who, like Hillary, grew up in the patriarchy movement. I had a very similar experience to hers and applaud her for putting what so many of us felt into words. I have no fears for your daughter – I only wish that more men were raised with your empathy. The greatest disservice the patriarchy movement does is to so far remove men from women, teaching them that in every way their hearts and minds are too different to understand one another. And fathers then no longer try to think like their daughters. Thanks for being one who does. Christina, thank you so much. I not only appreciate your very kind words, but also how you caught the tone of my books so well. I am in wonder of all that God has made, especially my dear little girl! After seeing a few Facebook friends post the link to this review, and now after reading it, I will get this book. We have 6 daughters and 3 sons, and this sounds like a good resource to have in our library: for us as parents, and for our children to educate them for becoming parents. We still remember several years ago when we were traveling, and stayed overnight with a family who, we found out then, was definitely steeped in this mindset. They had 8 children, who gathered obediently, yet fearfully, around their father for a nearly-hour-long Bible time at 9pm. I think it would have gone on longer if my husband had not spoken up and said our children were tired and needed to rest. The next day the wife confided in me and told me so many sad things that was happening. The children warmed to us immediately, showing us animals, drawings, etc. – it was obvious they were starving for attention. We were not surprised several months later to find that one older daughter (who had “rebelliously” taken her headcovering off when we took a picture of their family) had been taken in by another family. A couple years later the wife had divorced the husband, taking the children to safety. So sad. On another note, Dr. Wile, thank you for your fine science materials! A few years ago we switched to Sonlight curriculum, and the advisor I spoke with highly recommended your books. I now recommend them to every parent who is tempted to stop homeschool in the high school years because they feel they can’t teach science well. I’m learning so much as I’m going through them, too! Thank you for your comment and your kind words regarding my books, Kimarie. The account you give of your overnight stay is sad, and unfortunately, it is similar to other accounts I have read and heard. What a compelling review! I lump in with the other moms on here who have only recently been introduced to the quiverful movement and patriarchy, allowing they are not the same necessarily and embracing the precepts scripture underscores because of the beauty of gender variances in the home. Homeschooling my six children every day, I fall short. That simple, that painful. i can not cluck my tongue at other parents when I am so exhausted by the end of the day that i wonder when I will catch that next alone time with the child who slips through the cracks. I will not say that every day my children “get” how much I love them for who they are, not just what they did that day to contribute to the family. That said, it is sin that causes pain. Sin. Let’s lay the fault on the fault line of sin. Jennifer, thank you for your honest comment. I know exactly how you sometimes feel, as I felt that many days while I was homeschooling my little girl. I think it’s sad that there are people who are harsh in every walk of society, but it’s Christianity where people most often throw out the baby with the bathwater. I’m sorry this lady was hurt by a misrepresentation of the truth. Yes, children are a blessing-and not only when they are useful! Even when they are a disabled, helpless child or an awkward teen. attempting to ground my children in His love and ours! Monique, thank you for your comment. You are right – children are a blessing, regardless. Thank you for this heartfilled review. I know HIlary through Facebook and ordered her book today. She has encouraged me greatly as I retreated away from a spiritually abusive church. That kind of mentaltiy is not just in the QF movement, it’s in many others too. Sisterlisa, thank you for your comment. Your final statement is quite correct – spiritual abuse occurs in many situations, not just in some quiverfull families. I am grieved when I see people taking their own personal experiences, however painful, and attempting to discredit other people by painting with such a broad brush. It is all too convenient in our “sound bite” age (even Christians are guilty of this) to stereotype people by broadly associating them with a “movement” (of course, the “movement” has to have a name, in this case, “patriarchy”), stating that the “movement “ is bad, then by implication demonizing anyone who you think may be a part of said “movement”. Don’t misunderstand me, there are some abusive parents out there, who may do any one or more of the many things mentioned in this book, but that in and of itself does not make EVERYTHING they do unbiblical and if what they are doing is based on Scripture, how dare any of us criticize it. I personally know of many children who are adults that would fit within the definition of what some are calling the “patriarchy movement” who are well adjusted Christians who have unbelievable testimonies, including deep affection for their parents, etc. If we are to listen to the naysayers, how about giving audience to those who have benefited from living in loving homes where the parents, though sinners, have done their best job possible to raise their children in the nurture and admonition of the Lord? I fear some people posting on here, while not seeing it that way, are launching an attack on God’s word and hence, on God Himself. God did say that “children are a blessing”. Does that justify abuse…no. But the problem isn’t with God’s word, the problem isn’t that people are having lots of children, etc., the problem is that some parents (the emphasis needs to be on “some”) have other issues that they need to deal with, etc. Let’s not throw the baby out with the bath water folks. Remember, and any science major should understand this simple concept, “correlation does not mean causation”. In other words, just because you find an abusive father in a home that looks “patriarchal” to you doesn’t mean that “patriarchy” is bad; it means that the abusive father needs to repent. I hope you can see the difference. Greg, I don’t think you understand the book or the review. As I said in the review, the “and” is important. The author does not paint with a broad brush. Instead, she specifically talks about women who were raised in patriarchy AND were harmed by it. That means not all patriarchy or quiverfull families cause harm to their children. While I consider the patriarchy movement to be unBiblical (and I think the author does as well), the purpose of the book is not to cast dispersions on patriarchy. It is to help those who have been harmed by it. Will all due respect, Dr. Wile, what makes one part of this so-called “patriarchy movement” that is being branded as “unbiblical” then? Is it having lots of children and believing they are a blessing? Is it believing that God ordained different roles for men and for women? Is it believing in Biblical authority? Is it believing that we have strayed from Biblical norms and we should return to living “too simple”, “strange”, or “plain”, etc.? Or, must one exhibit 2 or more of the above beliefs or 3 or more of the above beliefs, or have some beliefs I haven’t detailed? This is the “broad brush” that I am concerned with here. I have seen references also to the so-called “Quiver full Movement” which seeks to demonize those who would dare to allow God to control the womb. I have talked to Christians who are in the “Quiver Full Movement” and they don’t even know the “movement” exists. The same is true of this so-called “patriarchy movement”. What does one do to get branded as being in the so-called “patriarchy movement”? I would suggest that if there is such widespread “unbiblical” teaching going on that you follow Mathew 18 and approach whoever it is that is in error, etc. rather than painting with such a broad brush so as to lump dear brothers and sisters in Christ in this so-called “Patriarchy movement” and be so bold as to say with no specificity what it is that they are doing is “unbiblical”. Greg, perhaps you should read the book. As I state in my review, there is an essay at the beginning that describes the patriarchy movement and what it entails. There are also specific discussions of what makes the patriarchy movement unBiblical. Even with that, however, the author does not say that ALL patriarchal families abuse their children. However, having grown up in a family that did, her experience is relevant in helping others who have been through similar abuse. I think you are assuming things about the author and what she says rather than actually finding out what she actually says through the relatively simple act of reading her book. That is unfortunate, because as I stated before, the author does not paint with a broad brush. As has been clearly shown through the comments on this review, her book has been very helpful to our brothers and sisters in Christ who have been harmed. Until you read the book, you really have no basis upon which to judge it. Unfortunately, that doesn’t seem to have kept you from doing so. Dr Wile, I regret I am not making my point(s) clear to you. My issue isn’t with the book necessarily (as you say, I have not read it), but is with your comments as well as those of others on here as much as anything. Let me try this from another approach. You stated the book is for “women who grew up in the patriarchy movement and were harmed by it.” That is akin to stating something like the following: “women who grew up in the home schooling movement and were harmed by it.” The so-called “patriarchy movement” is not to blame for what individual families do or don’t do that is wrong. Sin is to blame. This is painting with a broad brush and does injustice and harm to many Christian brothers and sisters. I am grieved that you fail to see the fallacy in this type of logic. If someone has a bad family experience, and he is home schooled, using your logic, we can blame the “home schooling movement”. Or, if someone claims to be a “Christian” and blows-up a building, we can say that anyone who follows the Bible is a terrorist. Correlation does not mean causation. Perhaps you could point to which Scriptures that folks in the so-called “patriarchy movement” take seriously and that they should not. What exactly is “unbiblical” as you say about this movement? I am simply asking you to support this broad accusation against this so-called movement that indicts many of my Christian friends. Greg, I regret that you are not understanding my review or basic logic. Neither the author nor me is saying that because you are in the patriarchy movement you are harming your daughter. That’s the logical significance of the AND I pointed out. If someone wrote a book like this for those who were raised in the homeschooling movement AND were harmed by it, I would have no problem with it. I am sure SOME children have been harmed by homeschooling, and they deserve healing. Since such a statement does not condemn all homeschooling, I have no problem with it. I guess that is the difference between you and me. I do not make assumptions about what people mean. I take them at their word. Since you have admitted to not knowing what the patriarchy movement means, it would be pointless for me to discuss its theological problems. Also, that’s not the point of the book or my review. In your review of the book, you stated, “she discusses in several places why the patriarchy movement is unBiblical”. You have stated you believe this statement to be correct. I guess where I am confused is by the inconsistency here. If the so-called “patriarchy movement” is as you say, and the book says, “unBiblical”, then by definition it is sinful and IS “harmful”. In my Bible, “unBiblical” practices/acts always cause harm and have consequences. You cannot have it both ways. This is the kind of conundrum you get on these types of things when you are not careful. You cannot condemn “patriarchy” as “unbiblical” without condemning everyone who is in this “movement”. Greg, I certainly CAN condemn patriarchy without condemning everyone in the movement. I think you have a lot of things confused here. Let me help you try to sort them out. 1. The term “unBiblical” doesn’t necessarily mean “sinful.” I am not sure where you get that, but it definitely isn’t from Scripture. Sin is transgression of God’s law, as stated in 1 John 3:4, and rebellion or disobedience against God, as stated in Deuteronomy 9:7. The literal translation of the Greek word for “sin” is “to miss the mark,” which refers to us falling short of God’s holy standard. One can believe unBiblical things for lots of reasons, including honestly trying to serve God and being ignorant or being deceived by someone else. Thus, to believe in something that is unBiblical does not necessarily mean you are being sinful. It might mean you are confused, deceived, or ignorant. 2. I agree that there are consequences for believing in unBiblical things, but that doesn’t necessarily entail causing harm to those you love. Often, the consequences of believing unBiblical things act on you, not your family. As an example, one of my dear friends from school grew up in an atheist household. The household was clearly unBiblical, but the mother and father loved their daughter and treated her like the fragile, precious person she was. She grew up loved and honored, and even came to Christ eventually. The father died a bitter old man, and the mother is still estranged from her daughter. The consequences of their unBiblical beliefs acted on them, not their daughter. 3. Many people in the patriarchy movement are honestly trying to follow the Lord. They have been seduced by an unBiblical viewpoint, but they still follow the Lord with all they have. As a consequence of the fact that they are honestly trying to follow the Lord, they treat their children as the Lord would have them treated: as true blessings no matter what. While I think they are living unBiblically, I do not condemn them, because they are honestly seeking the Lord, and it is hard to condemn anyone for that. I can speak to them individually (when the opportunity arises) to try to convince them what is wrong with what they believe, but I don’t condemn them. I honestly think your problem is that you are so worried about defending those who you perceived as being in the patriarchy movement that you are missing the whole point of the book and this review. Those who have been harmed need healing, and this book will provide it. If it upsets some people along the way, I really couldn’t care less. Sorry, Dr. Wile, but “unbiblical” does mean “sin”. If one is “opposed to the teachings of the Bible”, he is in sin. You cannot get around this. This was the first definition on the Bing.com search. There are probably better ones. “un” means “not” as in “unable” means “not able”. In the same way, “unbiblical” means “not biblical”. In other words, “unbiblical” means that something is in opposition to teaching in the Bible. For example, it is “unbiblical” to commit fornication; would you not agree? Your explanation in your last post really concerns me. You try to say people can live “unBiblical” lives but somehow get credit from God for their effort, or motives. Please show where this new concept is found in the Bible. My Bible is filled with stories of where people with “good motives” suffered for their unbiblical actions, e.g., 2 Samuel 6:6-7, Uzzah. I submit to you that God is more interested in our obedience than our motives. God has decreed certain ways to do things and regradless of our motives, God desires that we do things His way. BTW, with all due respect, you couldn’t be more wrontg on your assumption that the “unBiblical” actions of parents don’t cause “harm” to their children. Children always are harmed by the sins of their parents. For example, if Dad won’t provide by working the children may go hungry, etc. Frankly, your idea that the young lady whose parents were atheists didn’t suffer harm just because she later came to Christ is ludicrous. Dr. Wile, there are always consequencies to “unBiblical” actions for everyone in the family. If patriarchy is “unBiblical” it is sinful. Greg, you really are confused on this issue. Let me once again try to explain to you the difference between unBiblical and sinful, as you are clearly not getting it. Your definition for unBiblical is correct, but you don’t seem to understand it. The definition is referring to a BELIEF, not a person. This is best understood by looking at the end of the definition: “not present or approved in biblical teaching.” A person cannot be present or approved in Biblical teaching. However, a belief can. Perhaps the best way to illustrate the difference is to use your question about fornication. It is UNBIBLICAL to believe that there is nothing wrong with fornication. However, that is not sin. SIN is to COMMIT fornication, either in life or in your heart. Now if you believe there is nothing wrong with fornication, you are probably more likely to commit it. However, believing there is nothing wrong with it is not sin. Committing it (in heart or in action) is sin. I hope I have made this clear enough for you to understand. I really think you have to stop reading into statements things that are clearly not there. You did this when you read my review, and now you are doing it again. Nowhere did I even IMPLY that people can “somehow get credit from God for their effort, or motives.” All I said was that I cannot condemn them for honestly trying to follow the Lord. That has nothing to do with how God judges them. I tend to follow Jesus’ advice on that point and leave that up to God Himself. I wish you would do the same. You also seem to be reading things into what I said about my friend. I didn’t say she was not harmed “just because she later came to Christ.” I said she was not harmed because she was raised in love and treated like the fragile, precious person she is. Thus, her parents, even though they led an unBiblical life, raised their daughter in a way that many Christians can’t seem to accomplish – they raised her in love. I think that actually made it easier for her to come to Christ. She clearly was not harmed by her parents’ unBiblical lives. She will tell you that herself. Just as many parents who think they live Biblically can cause immense harm to their children, parents who live unBiblically can raise their children without harming them. Thus, your idea that there are ALWAYS consequences to EVERYONE in the family for unBiblical beliefs on the parents’ part is just ludicrous. Your beliefs will guide you in raising your children, but it is your actions that will cause harm. I promise this will be my last post. I don’t think we are getting anywhere with our discussion. “Ideas have consequences”. Your idea that people can have “unBiblical” thinking and not commit sin is “unBiblical”. Please allow me to share the Word of God with you and not my opinion. “For as he thinketh in his heart, so is he…” Pro 23:7. “Keep thy heart with all diligence; for out of it are the issues of life.” Pro 4:23. If this was the only verse in the whole Bible, it would be sufficient to prove your reasoning is faulty. You cannot decouple thought life from actions. “ And Jesus knowing their thoughts said, Wherefore think ye evil in your hearts?” Mat 9:4. Jesus Himself proclaimed that “unBiblical” thinking was “evil”. “May my heart be blameless toward your decrees, that I may not be put to shame.” Ps 119:80 This is referring to his thoughts, not his actions, yet the psalmist warns about “unBiblical” thinking leading to “shame”. “Every way of a man is right in his own eyes: but the LORD pondereth the hearts.” Pro 21:2. “Happy is the man that feareth alway: but he that hardeneth his heart shall fall into mischief.” Pro 28:14. When you have “unBiblical” thinking, the Scripture says you “may fall into mischief”, NO, it says you “SHALL fall into mischief”. Dr Wile, I am truly amazed that you think a man can have “unBiblical” thinking and that not be sinful. I pray you will look to God’s word and see the error in your thinking. If people (or “movements”) are thinking “unBiblical” then they are in sin; there is just no escaping this. “UnBiblical” thinking is sin even when people don’t act on their “unBiblical” thinking directly. And, more often than not, people do act on their “unBiblical” thinking because they have already begun with a lie in their heart. You cannot condemn the “patriarchy movement” without condemning the people in it. If there are people in this movement and they are thinking “unBiblical”, then they are in sin. Greg says, “I promise this will be my last post.” Actually, you said before that you would trouble me with “one last post,” and that wasn’t true. We will see if you are telling the truth this time. About the only thing that is correct in this (supposed) last post is your statement, “I don’t think we are getting anywhere with our discussion.” That is very true, as you seem to not understand what Scripture says about sin. The verses you post seem to confirm this, as NONE of them suggest that something unBiblical is necessarily sinful. For Proverbs 23:7, please look at the entire context, which is verses 6 and 7, “Do not eat the bread of a selfish man, Or desire his delicacies; For as he thinks within himself, so he is. He says to you, “Eat and drink!” But his heart is not with you.” This, of course, has nothing to do with what is sinful. It is speaking specifically about the fact that a selfish man says one thing about sharing but then thinks another. For Matthew 9:4, look at the verse above, “And some of the scribes said to themselves, “This fellow blasphemes.” This is a judgment of the Pharisees. Jesus wasn’t talking about their unbiblical thoughts. He was talking about their plans to discredit him. Once again, those are ACTIONS the Pharisees were committing in their hearts. For Ps 119:80, the psalmist is simply asking to have a pure heart so that he will not be ashamed. Nowhere does this verse even imply that unbiblical thoughts are sin. It just shows what the godly man strives for – a pure heart. Proverbs 16:5 says that a proud heart is an abomination to the Lord. Of course it is, as a pride is a sin that one commits. It has nothing to do with whether or not one believes something unbiblical. Proverbs 21:2 says that the Lord knows the hearts of all men. That is absolutely true and once again has nothing to do with unbiblical beliefs being sinful. It simply says that the Lord knows WHY we do things. Proverbs 28:14 says that a man who HARDENS HIS HEART will fall into mischief. Believing unbiblical things is not always the result of hardening your heart. It is often the result of being seduced by bad doctrine, being ignorant, or being pressured into believing something. If you harden your heart, you will fall into mischief. However, very few people believe in unbiblical things because they harden their heart. I truly pray that you learn what sin really is, as you do not seem to understand it. Until you understand what sin is, you will continue to mangle Scripture as you have done above. I am absolutely saddened by your definition of sin….i.e. unbiblical does not = sin? My Bible says the same as Greg’s. Sola Scriptura, Dr. Wile. Your article tells me that you do not believe in Sola Scriptura for both orthopraxy and orthodoxy. So, if the Bible is not your only standard for life, doctrine and practice, what are you adding into the Bible? Have you spoken to this young lady’s parents? If not, then you are judging a matter without having first heard both sides. That is unbiblical and wrong. You are condemning her parents without having firsthand knowledge of the entire situation. Not only are there sinful parents, there are also sinful children, which you don’t seem to be considering a possibility in this young lady’s case. I am grieved by your article. Your broad brush stroke of the pen that paints every Patriarchal and/or Quiverfull family in this light is slanderous and wrong. There are sinful people in all walks of life. That doesn’t make God’s ways wrong, it makes man sinful. “Sola Scriptura,” I am absolutely saddened by your comment. First, you did the same thing Greg did. You clearly did not bother to even read the review seriously, as I take great pains to tell how the author is NOT painting with a broad brush. Indeed, I even patiently explained to Greg the basic logic that tells you how clearly I said that. For you to claim that I have painted with a broad brush shows you haven’t even bothered to read the review or the comments seriously. If your Bible “says the same as Greg’s,” then you need to see my comment to Greg, as the Scriptures he cites say NOTHING even close to the idea that unbiblical = sin. The Bible is my only standard, and the very fact that you claim it isn’t shows that you simply want to rush to judgment rather than seriously consider the issues at hand. That is truly unfortunate. Once again, since you haven’t read the book (or even read my review seriously), you simply ASSUME that the author and I condemn her parents. In fact, the author does no such thing, and neither do I. She actually speaks quite lovingly about her parents in the book, and I point out in my review her loving thoughts of her father. It is sad to see someone rush headlong into judgment without even pausing to learn the facts. It is with interest I read your review of the book, “Quivering Daughters”, as within I detect a parallel which I hope you will carefully consider. In your review, as well as in your responses to various comments, you referenced your beloved adopted daughter. We, too, are the adoptive parents of four precious and much loved adopted daughters, as well as two biological children, a son and another daughter. You are aware, aren’t you, that there is a growing body of adult adoptees, who, being wholly disenchanted with having been adopted, are becoming increasingly vocal about their experiences and beliefs, and are lobbying against adoption? Some of these adoptees have tragic stories to tell, to be sure. However, a great many who were not abused by the standards we typically apply to abuse (physical, verbal, and sexual) simply believe adoption is inherently wrong, on every level. Their reasons are myriad, stemming from legitimate abuse, to having been denied their birth culture, to the so-called “white privilege” of adoptive parents, and so on. These adoptees are meeting with significant “success” in influencing organizations such as UNICEF, as well as various governments, with regard to adoption policy, with some of those policies negatively affecting orphans worldwide by denying them loving families, and subjecting them to institutional care until they are old enough to fend for themselves. I believe you must now be able to ascertain the parallel I’m speaking of, that of individual cases influencing the broader picture. In the one, we are speaking of the individual case of the author of “Quiverful Daughters” presenting a negative view of the whole of the so-called “patriarchal movement”, and in the parallel, we are speaking of the individual cases of certain, specific children presenting a negative view of adoption on the whole. Were one only to read the blogs and articles of the latter, he or she might easily come away believing adoption is a terrible thing, perhaps even an unbiblical thing. It may be equally so if one only reads, or listens to, young ladies who have experienced heartache in homes where patriarchy was practiced, but biblical patriarchy was not. And there is a distinction, Dr. Wile, between “patriarchy” and “biblical patriarchy”, the latter of which my family and I embrace. 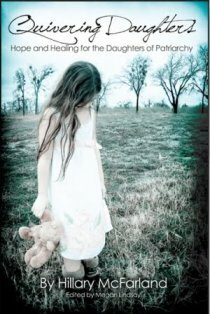 I haven’t read “Quivering Daughters”, so won’t dismiss out of hand the author’s personal experience growing up. We can all learn from other’s experience, to be sure. However, I would caution anyone who reads the book to exercise utmost care when forming an opinion of the broader so-called “biblical patriarchy movement”. The author’s experience is not a reflection of the “movement” as a whole. It is the story of one woman’s childhood. It may even be the story of more than one woman’s childhood. But it is not the story of all women’s experience, nor should it be considered to be so. Just as we see strong support for adoption in the Scriptures, both in direct word, as well as within the principles found throughout, so, too, do we see strong support in the Scriptures for biblical patriarchy, again, in both direct word and within the overarching principles. Were this explicitly a blogpost concerning whether or not patriarchy is biblical, I’d address the topic in more earnest. But it is not. Your post is about this one young lady’s experience. Let’s ensure that her experience, and her telling of it, doesn’t negate the truths found in God’s Word. And let us be ever careful in how we address our brethren in Christ, being sure to season our words with love and grace. And if I may just add one other thought. As Christians, it is our biblical duty to ensure we hear from both sides in any given dispute, before forming an opinion or offering a judgement. I am not suggesting the young lady in question is not accurate in the re-telling of her childhood, but I am suggesting that before any reputable Christian gives a public endorsement of any book which may possibly disparage a Christian brother or sister, it is imperative that he or she make a deliberate attempt to speak to the others involved, in this case, the young lady’s parents. I assume you have done so, Dr. Wile, and are wholly satisfied that the young lady’s account is fully accurate? Regarding speaking with the young lady’s parents, that isn’t necessary, because she specifically DOES NOT condemn her parents. Indeed, she speaks very lovingly of them. I point out in my review her loving attitude towards her father. Thus, since the book does not condemn them, I have no reason to check with them or condemn them myself. I notice a pattern to Greg, “Sola Scriptura,” and your comments. They all are based on ignorance. You have not read the book, yet you all assume things about it. You clearly did not even read my review carefully, as you claim I do things that my review clearly does not do. It seems you all prefer to rush to judgment rather than actually inform yourselves on the issues first. That is truly unfortunate. I hadn’t read the comments for a few days and am quite saddened by the misunderstandings I am reading. First of all, only a part of Hillary’s book contains her own journal entries from her growing up years. Much of the book contains testimonies and thoughts from dozens of daughters who grew up in the patriocentric movement and who have written to Hillary since she began her blog. These are all stories that are quite familiar to me, too, since I have also received many of these same sorts of letters since I began speaking out against this growing branch of Christian homeschooling four years ago. Having been a homeschooler for 26 years and having witnessed, up close and personal, life within the patriarchal paradigm, I am quite familiar with these teachings and the destruction they have brought to many families. For a true believer in Jesus Christ, the first response when hearing these stories ought to be a troubled and saddened heart, followed by self-examination and a crying out to the Lord to show each of us our own hearts and our own responsibilities in caring for those who are hurting., beginning with repentance toward our own children if necessary. And the hurting ones certainly are not just the young women. There are many young men and grieving parents in this mix as well. However, all the personal stories aside, I believe that the patriocentric movement is one that promotes the sin of partiality and a hierarchical system that Jesus condemned rather than the “one anothers” the Word commands. Having spent many years researching the writings and teachings within this branch of homeschooling, I am quite concerned at how far away from Biblical Christianity it has come and where it is heading. Scripture is repeatedly used to proof text the ideas of a few leaders within this movement and mothers and fathers are sinning against their own precious children in order to be part of a paradigm. Though I do believe that most families begin down the patriocentric path out of genuine concern and love for their children and the desire to see them walk with the Lord as adults, far too many of them are embracing teachings that are anything by scriptural. I would encourage anyone who does not understand the concerns with the patriarchy/ patriocentric movement to listen to the two series of podcasts I did on this subject. I would especially encourage you to listen to the ones from August 15 and 21, 2010 where I walk through the “manifesto” agenda from the 2009 Homeschool Leadership Summit that was held in Indianapolis. (This summit was organized and presented by leaders within the patriocentric movement and it excluded all homeschooling moms, by the way. ) Included in that agenda for homeschoolers are: being sure that all daughters remain home until marriage, the department of child and family and all public schools are to be shut down, and homeschooling families are to leave their traditional churches and become part of family integrated churches. I would also happily share the link to the recordings of that summit if anyone wants it. Another concern I have is the repeated notion that any time someone condemns a public teaching that it should begin with a Matthew 18 process. This is one of those misuses of Scripture that is being used by the patriocentrics to shut down discussion of these very important things. (I discuss this on these two podcasts as well and have written an article for my blog that is addresses this notion, pointing out what Scripture actually teaches about Matthew 18.) The bottom line is that public teachings should be addressed in the same manner in which they were taught: publicly. Friend and thatmom, thanks for adding your wisdom to this discussion! After reading all of these post – I stand in the same space and on the same page with Dr. Wile. He is right on target with his book review of “Quivering Daughters”. we are all sinners and need to repent daily. Parents should never be too proud to have a relationship other than just the one and only authoritative style with God’s precious children. We are called to lovingly disciple them – not loom over them like a judge in the court room. God will do that! We need to ask for wisdom and discernig skills all the way through our journey as Christian parents. I pray for everyone including myself who have responded to Dr.Wile’s blog that we may have understanding minds and hearts of love when reading scripture and for God’s truth to abound and let our heart’s not be troubled or divided. Let us love and care for all sinners, not their sin. Dr. Wile, I hope you don’t mind another person joining in the discussion here, but I just found this blog tonight. You are my elder (in age), so I will do my best to speak with that in mind and with utmost respect for your position. My first note is on the definition of patriarchy which you gave. More specifically, it is on the first several words: “In essence, the patriarchy movement suggests that if you follow a basic formula..then you will be rewarded with a legacy of godly children.” I am curious as to where you found the part about it being a formula. I realize that there are people out there who probably believe that if they do “a and b” that they will get “c,” but does the movement itself actually suggest that the passing on of the Christian faith to the rising generation is merely a formula that if followed produces Godly children or is that the practice of some within it? How does such a definition relate to the large number of Calvinists in the Patriarchy Movement who would say that God is in control of salvation and not man? Another way of looking at the above question is Christianity in general. If we call Christianity a movement, and we find people who say that “if you repeat this prayer after me, you will be saved,” does that mean that Christianity suggests that salvation is obtained by parroting an offered prayer rather than by faith in Christ? Or does it just mean some people have missed the mark and some people within the movement suggest that by simply repeating a prayer you are saved? If the later, than it would be wrong for me to define Christianity by saying that it suggests the former. I humbly ask you to consider Vision Forum’s definition of patriarchy here (http://www.visionforumministries.org/home/about/biblical_patriarchy.aspx) and see if there might be a little more clarity on just what the movement itself teaches verses what some individuals in it practice. I would also be interested in knowing which part of the tenets they present you would believe unbiblical. Maybe do a blog post about it so that it is less vague than your current statements which leave the unbiblical parts undefined. (That’s better than the comments section sometimes.) If it is not the tenets they present that you would find unbiblical, then maybe it would be right to say that it is not the movement itself you have problems with, but rather some individuals application or presentation of the movement. Ok, next point. You mention several times that you said that the book was written for those women who grew up in the movement and were harmed by it. My first thought is in reference to what is doing the harming. This relates directly to your comments about the movement being at least partly unbiblical. You have the movement doing the harming. If it is unbiblical, then that is fine because unbiblical things do harm – always. The Bible says that its ways are life, and therefore any way but God’s way is harmful. However, that would also mean that you are putting the entire movement in a bad light – good if it is really unbiblical, bad if it is only some people’s application of that which is taught which is unbiblical. As it currently stands, you do have the PM as a potentially harmful movement that can hurt you and you don’t actually back that up by proving that the movement itself promotes these harmful views. My personal position is that the movement itself did not actually do the harming, but if harm was done, individuals’ sinful application of the Scriptures related to the beliefs presented in the PM did the harming. How would this effect your statement of who the book is for? Going back to my comparison with Christianity in general, Christianity did not harm all the people who have false conversions by thinking that by repeating a prayer or raising a hand or going to the mourner’s bench goes to heaven. The individuals’ misuse of Scripture did. So if the book was about false conversions, your current statement would be that the book is for those who were raised in Christianity and were harmed by it. Now if Christianity is in and of itself bad, then the statement would be accurate. But Christianity itself never did harm anyone. Only perversions of it did. That being the case, the statement is a misrepresentation of reality. In conclusion, if you can show that the tenets placed by the leaders of the biblical patriarchy movement (and I cater to Vision Forum as the best public statement of what Biblical Patriarchy really is), to the extent that it is unbiblical, it has fallen short of the glory of God and is sin. All that is evil in our beliefs must be repented of and thrown out. The issue is merely that the tenets laid forth must be properly shown from the Word how they are in violation of it – and that hasn’t been done yet. Thanks for reading and I look forward to your response with hopefully a clarification of your position as well as support for your definition of the movement. I hope you found my statements respectful, and if not, that you will pardon my transgression. Stillstanding, thank you for your comment. I appreciate the respect with which you wrote it. Even though you are young (I assume that from your comment), you have much to teach some of the other commenters on this issue. Thank you. Please note that I did not give a definition of patriarchy. I gave one of its teachings. I am, of course, familiar with Vision Forum’s list of the tenets of patriarchy, and that certainly suits better as a definition for patriarchy. However, the tenets of a movement are not an exhaustive list of the movement’s teachings. They are doctrines that form the basis of its many, many teachings. The idea that there is a formula by which you will be rewarded with a legacy of godly children is very much a teaching of the patriarchy movement. It is in the literature of the movement. I have also heard it “preached” at many homeschooling conventions: If you do this, this, this, and this, THEN God will bless you with godly Children. I agree that many in the patriarchy movement are Calvinists, but that doesn’t affect the formula mentality at all. Remember, in Calvinism, a person has been chosen by God to be saved before the foundations of the earth were laid. Nevertheless, it is the parent’s job to raise ALL their children as godly, whether or not they are a part of the elect. Even if they are not a part of the elect, their life here on earth (and their parents’ life as well) will be better if they behave in a godly manner. I agree that you can probably find individual Christians that practice formulaic principles. However, they tend to be the exception, not the rule. We can point out the error of the individuals, but we can also see that the error doesn’t apply to most of Christianity, and you certainly can’t find it in the teachings of Christianity. With the patriarchy movement, you find it in the teachings, and based on my experience with patriarchy families, it is not the exception. (there are three parts to this series, the others are here and here. I think you would benefit from reading this book, as you don’t seem to understand how a movement is different from individuals in that movement. This book does a great job of demonstrating the difference. You seem to think that I am condemning the people in the movement, and I am not. Some of them are raising wonderfully godly children and fashioning a truly Christian family, probably because they are wise enough to ignore the unbiblical teachings of the movement and focus on the Biblical ones. However, the movement itself says that EVERYONE must do it in order to raise godly children, and EVERYONE must do it in exactly a specific way. This, in the end, is the source of pain. Forcing a family to be something it is not can cause an enormous amount of pain. Once again, this is the significance of the “and” in the statement “women who grew up in the movement and were harmed by it.” Not all women are harmed by the movement, because their parents were wise enough to follow the Lord in raising their children rather than the teachings of man. I am not sure whether this misunderstanding of the nature of sin is a part of the patriarchy movement or just a misconception held by many Christians. However, unbiblical beliefs are not necessarily sin. You claim that by believing that fornication is okay, you are “subtracting” from God’s word. Not necessarily. You could be interpreting God’s word to say just that. While it is hard to interpret God’s word to say that there is nothing wrong with fornication, you can interpret God’s word to say many things that it doesn’t say. Indeed, I think this is what many in the patriarchy movement do. They BELIEVE they are following God’s word, but they are not. This is nothing like what Deuteronomy 12:32 is talking about. It is talking about REMOVING things from God’s Law – i.e., saying “this command doesn’t apply to me.” That’s not what many who hold unbiblical beliefs are doing. They are not taking anything away from God’s Law. They are simply misunderstanding it. Your example of Job 42:7 makes my point wonderfully. As you can see from the verse, God’s wrath was kindled towards Job’s friends because they DID something. They spoke things about God that were not right. Thus, they were promulgating false teachings. That is an action, and that is sin. Free Webinar Will Evolutionists Ever Learn?